Customer journey mapping is the backbone for designing any customer experience programme. Globally, customer journey mapping is considered to be the backbone of any customer experience programme and is the common thread that runs through nearly every activity that customer experience professionals perform, from customer understanding to designing and managing customer experience programmes. Understand all the elements that comprise customer experiences. Assess the performance of customer journeys. Align employees and cultures to customer needs. Plan and manage customer experience programmes. Inform the broader business agenda. While we tailor our offering to your unique requirements, the ultimate objectives remain the same – to give you and your business a clear, ‘outside-in’ view of how your customers see your organisation, comprehensive insights into what they actually expect when engaging with you, and a full understanding of how to apply global best practices in customer experience design to retain your customers and steadily gain more business. Accurately assess your current customer experience offering – as viewed by your customers themselves. 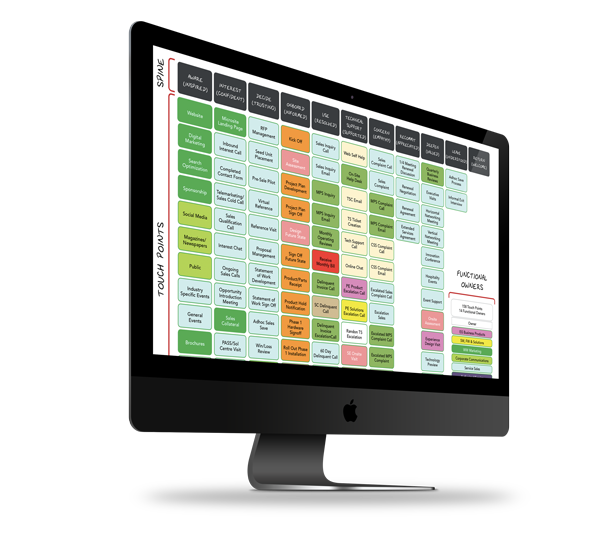 Map all customer experience touch points throughout your organisation using an internationally recognised CJM tool. Identify your customers’ current experience perceptions and compare them against those customers’ expectations. Effectively involve your customers in the experience design process. Provide your business and its staff with the knowledge and tools to be able to design, create and deliver consistently excellent customer experiences. Enable you to accurately and constantly measure customer experiences and enhance these through strategic insights. Differentiate your brand and increase its competitiveness through consistently memorable customer experiences. To find out more about our tailor-made OR workshop CJM offerings, please contact nlighten on 021 794 7533 or email us the form below for a no obligation discussion.